For the past few weeks, my morning ritual has been the same. I get up, switch on my iPod, click the Twitter app and find out whether Abdulhadi al-Khawaja is still alive. Through a strength of character that is nothing short of extraordinary, Abdulhadi is, with every passing day, defying the odds and staying alive. After sixty-five days, there is at last a global recognition of his cause and, belatedly, concern from those in positions of power. 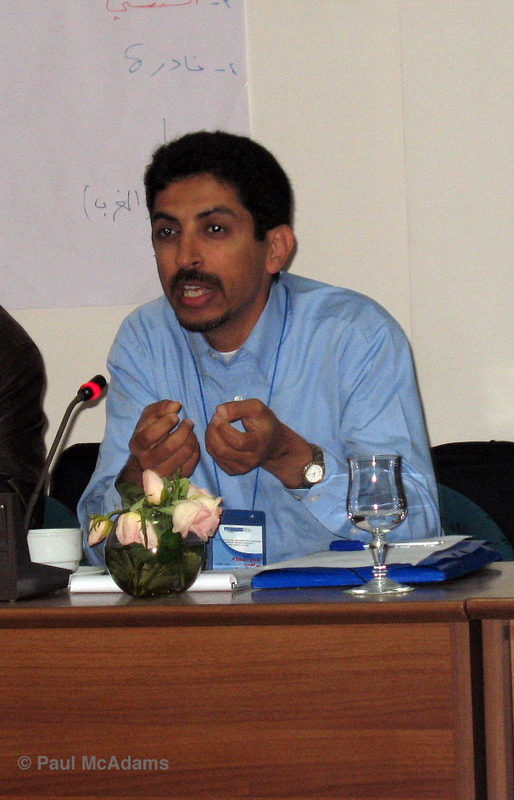 As Human Rights Watch recently noted, Mr. Al-Khawaja is “dying alone because powerful actors like the United States and the EU do not share his courage and conviction when it comes to speaking out publicly against Bahrain’s serious human rights violations.” So far, Denmark has shown the most deliberate efforts to secure al-Khawaja’s freedom – efforts squarely rejected by Bahrain’s Supreme Judicial Council. Amnesty just released a briefing on the human rights situation in Bahrain, and will present a more complete report April 17. It notes that the Bahrain Independent Commission of Inquiry (BICI), set up by King Hamad bin ‘Issa Al Khalifa, “submitted a report of its investigation into human rights violations committed in connection with the anti-government protests. The report concluded that the authorities had committed gross human rights violations with impunity, including excessive use of force against protesters, widespread torture and other ill-treatment of protesters, unfair trials and unlawful killings.” Put checkboxes next to each one of those violations and you’ll check them all for Mr. Al-Khawaja. 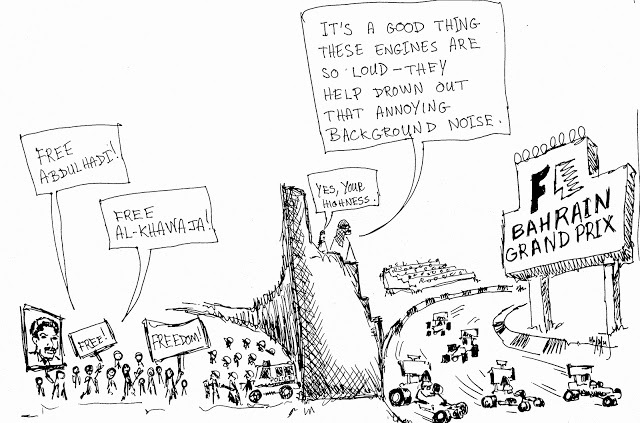 Add to this the tremendous groundswell from Bahraini citizens who continue to protest in the streets amid fears of being injured of killed by police officers; the dozens if not hundreds of petitions that have circulated online; the thousands of supporters calling for peace, freedom and the release of al-Khawaja and other protesters detained in Bahraini jails; the constant advocacy that al-Khawaja’s daughters, wife, family, friends, and supporters have pushed ahead with to ensure his freedom … at some point, I have to ask myself what the hell is wrong with this world. Justice shouldn’t be this hard. You shouldn’t have to prove to the world that you can live without food for nearly ten weeks in order to get your point across. You shouldn’t have to risk your life when (some) world leaders, UN bodies, an independent commission, reputable NGOs, and millions of people around the world think that an innocent man should be set free. He is a friend, and I want to hear his voice again, I want to see his smile again. I’m not asking all that much, am I?